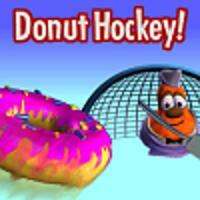 Formerly known as “The Breakfast Club”, Friday Morning Doughnut Hockey™ or FMDH™ is a FUN way to start your day and best of all, it's followed by a doughnut!! And it's FREE! Open to all Mites, Squirts, Girls 8U and 10U in SLPHA. Parents!!! Don't forget the doughnuts! Please help avoid a riot and coordinate who brings the doughnuts every week (sign up genius link below). It’s an amazing incentive for little skaters.